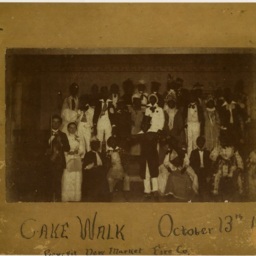 The Cake Walk was a popular minstrel performance at the time that ridiculed an African American dance of the same name which dated to before the Civil War and which was designed to make fun of the mannerisms of their owners. The man holding the violin in the foreground is W.C. Shirley, director of the event's orchestra. The other individuals are unidentified. Box 2, Garber Shenandoah County Collection: Brumback, Shirley, Miller and Tidler Families, Truban Archives, Shenandoah County Library, Edinburg, Virginia. 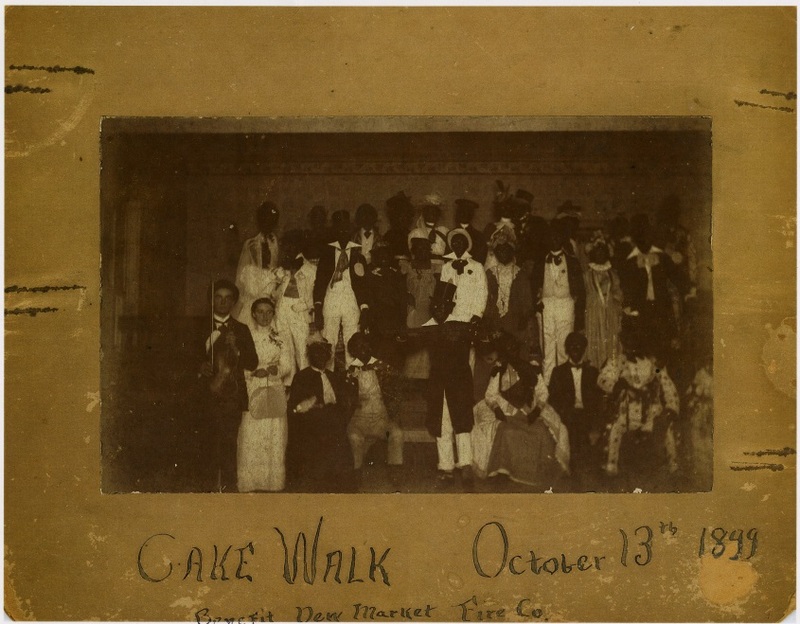 Unknown, “Cake Walk October 13 1899,” Shenandoah County Library Archives, accessed April 22, 2019, http://archives.countylib.org/items/show/12363.